So a couple of months ago I received an email telling me that there was a brewer in Nevada looking for some bloggers to post some reviews. I joined Twitter, sent a message and a few weeks later a box containing three varieties of Buckbean Brewing Co's beer showed up on my door. 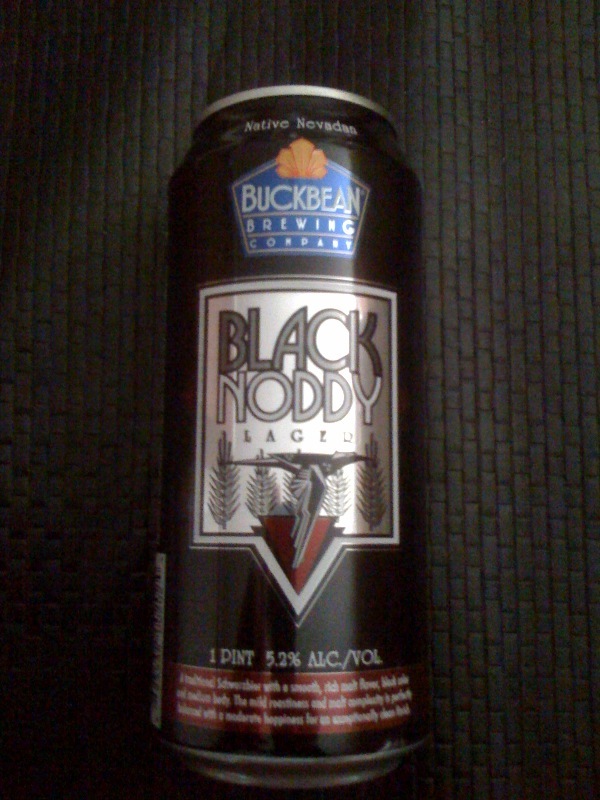 Due to the arctic cold that had descended on my doorstep this past weekend, I decided that the Black Noddy Lager was the way to go. After travelling over 2,800 miles to reach my doorstep, I was a bit concerned whether the beers would tolerate the trip well, especially leaving the warmth of the Left Coast for the freezing temps of the East. I poured the Black Noddy into one of my favorite steins and hoped for the best. The Noddy was as black as advertised and poured with a monstrous tan frothy head. The taste matched its aroma of roasted coffee. There was a twinge of bitterness, but the beer finished very smooth. Halfway through my glass any concerns how the beer survived its Eastern journey were dispelled. 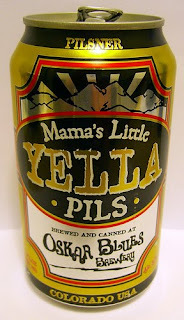 Per my legal obligation I must mention that yes, this is a micro-brew served in a can. I’d have to say the biggest disappointment regarding the Black Noddy is that it only appears to be available in Nevada and California, which are two places I do not live. I think if you are looking for a dark beer with a Guinness feel, you wouldn’t be remiss to consider the Black Noddy. The Black Noddy gets a 4.0. But we're experiencing technical difficulties. 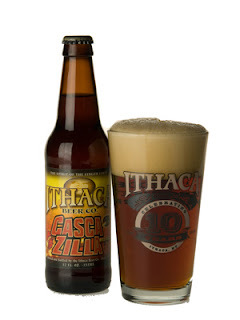 Ok not really, it's just that I once again picked a beer (Ithaca Beer Co. Casca Zilla) that has already been reviewed. 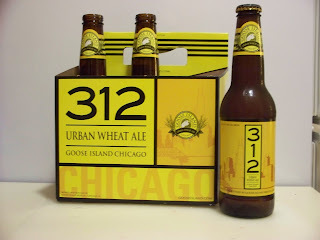 So instead of giving it the same review (I agreed with the previous posting of a 4), I'll run to the beer store tomorrow and find something new and interesting to try. So sorry for the lack of a review today, but I'll have one posted Wednesday night. 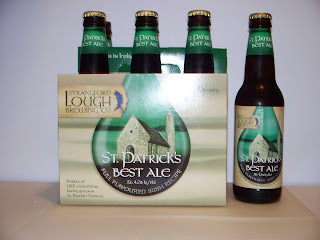 I am always a little disappointed when I pick out a Pale Ale and it's more an English Pale than an American Pale Ale. That is the case when I picked out the Geary's Pale Ale. The Geary's was more bitter than malty. The malt was highlighted honeyish and dry apple tones. Still, despite all this, the beer was decent. The 4.5% ABV is decent. Funny thing about this beer, at the bar Geary's was served, it was described as the first Microbrewery east of the Mississippi, something that is essentially said on the website as well. I think since Yeungling was America's Oldest Brewery, why isn't that considered the first micro brewery? Right? 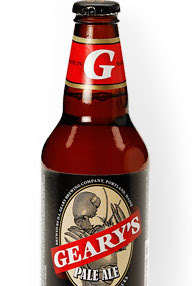 Oh well, the Geary's Pale Ale gets a 3.0. So three great things happened to me tonight. First, my wife's best friend called and they talked for about an hour enabling me to watch the Bruins and the Celtics without interruption. Second, LOST, the best show on tv, was on. And third, I discovered my holy grail of beers; a beer that tastes great out of the can. I've had my fair share of beers out of the can, usually something see thru and cheap though. About seven years ago, we discovered Dale's Pale Ale which comes in the can and is absolutely fantastic. 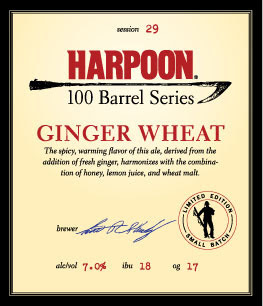 This beer however, gives Dale's a run for their money. Sitting down to watch the USA Canada Gold Medal Hockey game this weekend, I knew I had to have everything just right. Doritos? Check. Bugles? Check. Labatt's? Um, NO. I needed to have an American beer. I couldn't afford to leave things to chance, you know how Miller is from Millewaukee but owned by South African Brewing; so I went with an Ithaca Cascazilla Red Ale, born and brewed in Ithaca, NY a mere 5 hour drive from Lake Placid, home of USA Hockey's greatest triumph. Now I was ready for the game. We've joked a few times on the site that IPAs are easy to spot because they often have hokey names derived from hops, Hop Devil, Hoptical Illusion etc. So imagine my surprise when I realize that the Cascazilla is not an IPA, it's a Red. Granted I had some beers prior to picking this beauty out at the store so my judgement may have been impaired. 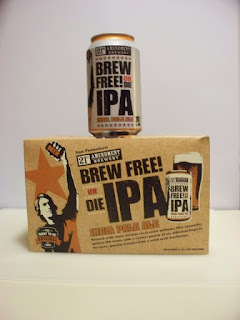 However popping off the cap of the brew you are immediately hit with an aroma of hops, so to the blind eye you may still be thinking IPA. 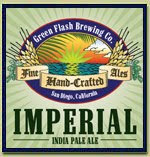 However once the beer is poured and you see the rich dark color of the beer, it is clearly not an IPA. The picture on the left totally captures the foaming head that emerges from the glass as the beer is poured. The caramel malt synchs perfectly with the hops and creates a smooth flavor which ends with a just a hint of bitterness as the hops get in the last word edgewise. The beer also has a nice 7% ABV. Now, the US didn't win, which was sad. 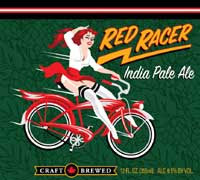 But I found this great new beer, which was good. How good? 4.0 good. Definitely keep an eye out for this one because I won't be sharing the remaining 5 I have at my house.